I did say that I would occasionally be posting NM related, but non-esoteric posts here and this is one. My friend KC forwarded me an email today and I sadly learned that one of my favorite shops will be closing it's doors. 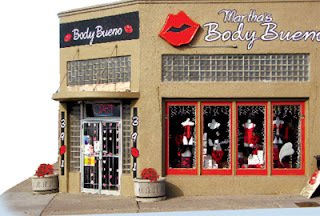 Since 1975 Martha's Body Bueno has been a fixture on Central Ave (old route 66) in the Nob Hill area. Inside there could be found all kinds of goodies, especially Martha's own line of all natural "lotions and potions." I won't weep too much though, the new owner will be opening a shop called Seventh Goddess and will continue to carry Martha's line of goodies. Martha will continue her online store as well. Bummer. I heard that Martha's might be gone soon on 94 Rock.